As the Lok Sabha elections are nearing up, Ruling TRs government is busy in organising the parliamentary level preparation meetings in constituencies wise in Telangana. Party executive president KTR is actively participating and making the party leaders enthusiastic to organize these meetings . As well as he is criticizing the opposition parties by praising the TRS party's achievements since they came into power in 2014. KTR, at a TRS parliamentary constituency level meeting in Vanaparthi, said that, TRS government is fulfilling all the promises given to people and he also assured to fulfill the promises that given in recent elections. He promised that party is going to implement senior citizen scheme to pay a pension of Rs.2,016 from this April. He said that Medical services in the state are also good. "In the past there is a situation like no one is ready to go to government hospitals and now scenario changed. As KCR himself is a farmer so he was more focused in implementing farmers welfare schemes. In Nagarkurnool district alone 4.98 lakh farmers are benifitted with Raithu bandhu scheme. 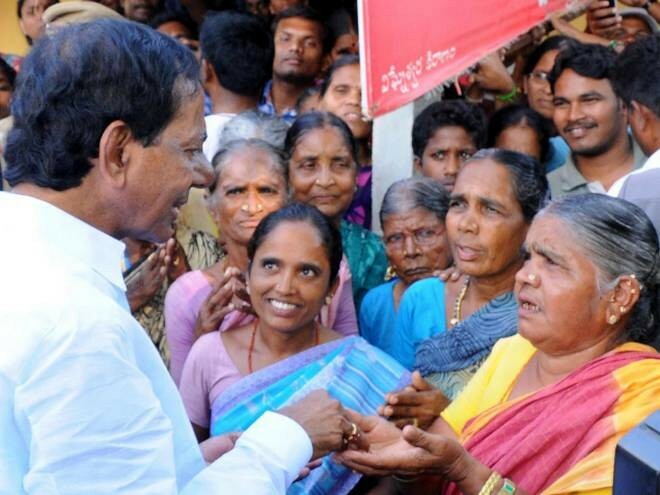 With Kalyanalakshmi KCR became nephew of the poor girls. In KCR 's rule all the ponds are filled with water" KTR said.